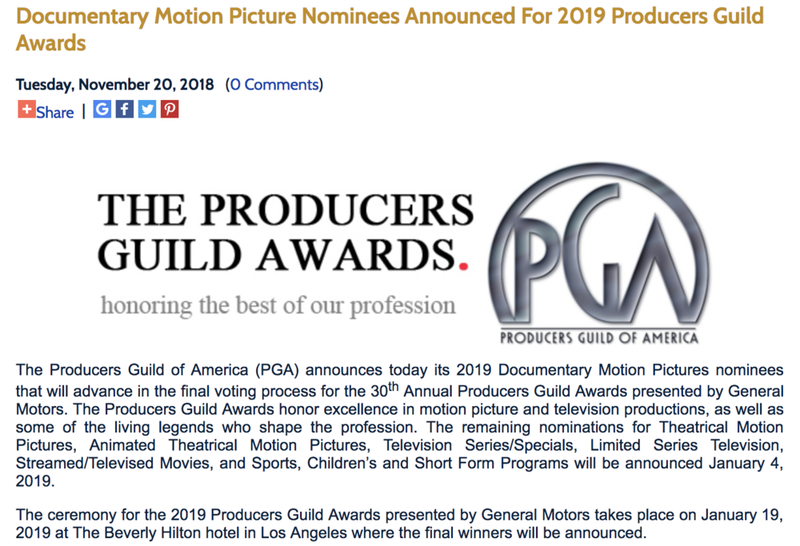 HAL NOMINATED FOR A PRODUCERS GUILD AWARD! Congrats to my incredible producers on this film for their recent nomination for a PGA award! This is a huge honor, and I cannot think of anymore more qualified than my trusted squad. CONGRATS! WE MADE ROLLING STONE'S TOP 10 DOCS of 2018!